You do not have to go far to enjoy and learn about birds and bird watching. Your own backyard can serve as a fun place where new bird watchers can start learning the basics about birds. To construct the best birdwatching area in your backyard, you can make use of different bird feeders filled with a variety of seeds. 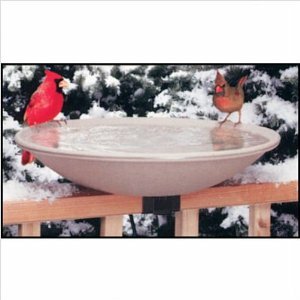 Different styles of feeders and seeds will attract different birds to your yard. Experiment with the various seeds in the bird feeders to attract the specific birds that you want to see in your backyard. Your geographic location is one of the main factors that will determine the birds that will visit your feeder. Some of the more common types of bird feed are black oil sunflower seeds, cracked corn, striped sunflower seeds, nectar, safflower seeds, millet and thistle. You will learn what seed attracts which birds to the different feeders that are placed around your backyard. Get to know how far away feeders need to be from each other. Birds like to have a safe landing area away from their predators. Place feeders close to trees, bushes or shrubs. It is important to keep feeders away from noisy streets or any other noisy areas that could spook the birds. Increasing the number of plants in your backyard will almost guarantee that more birds will be visiting your bird feeders. You can even try to create a layered garden to provide richness and diversity in your garden. You can add layers by planting clusters of shade loving small trees, shrubs and ground cover under taller trees. The birds will love the plants and your backyard will be transformed into a beautiful natural woodland. Now it’s time to sit back, observe and study your backyard bird habitat. 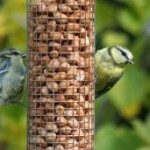 Make sure you have a clear view of all the feeders. A basic pair of binoculars is needed to catch a close-up look of all the birds. These optical devices will greatly increase your ability to identify birds by their distinct markings and behavior. It will not take long until you become very familiar with many of the birds that will be coming to the feeders. As you become more involved in bird watching, a spotting scope can provide you with a closer look at your new feathered friends. There is nothing better than watching colorful birds fly around a native and natural garden that almost looks like the bird’s natural habitat. Wonderful post..This is certainly one of the goals I would like to achieve for my garden next year I would have the benefit of a natural attractive garden with lots lovely of birds..